2. 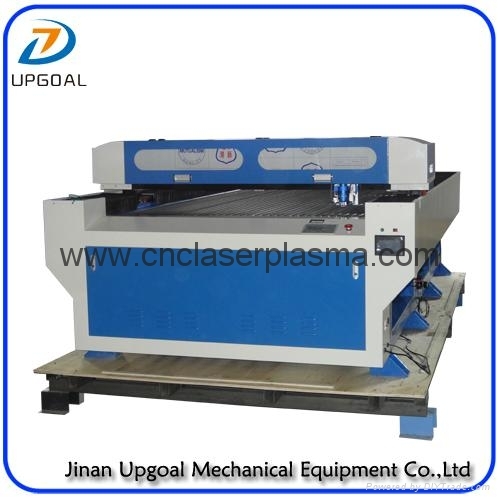 Equipped with metal&non-metal laser cutting head. 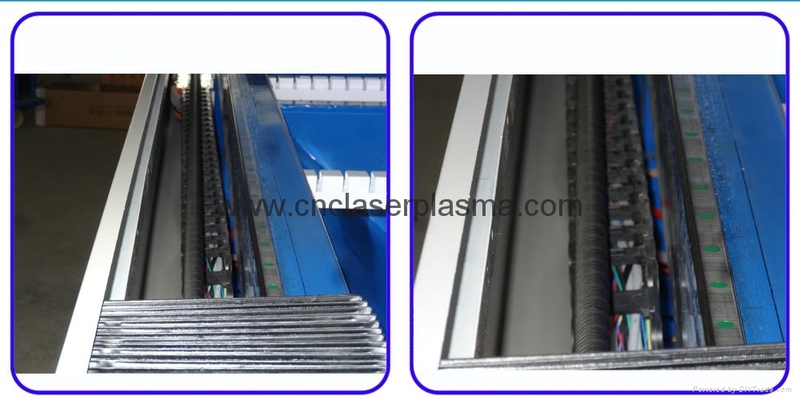 Stainless steel, carbon steel, acrylic and wood can be cut. 3. 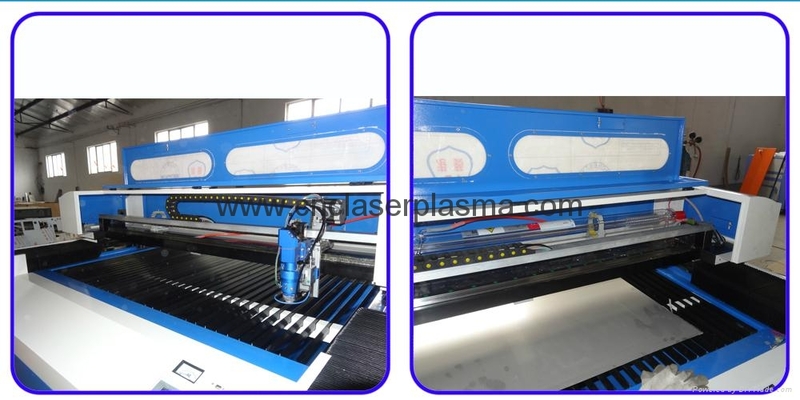 Reci S6 seal Co2 laser tube, rated power 130W, maximum power 160W, strong cutting ability and long working life. 4. 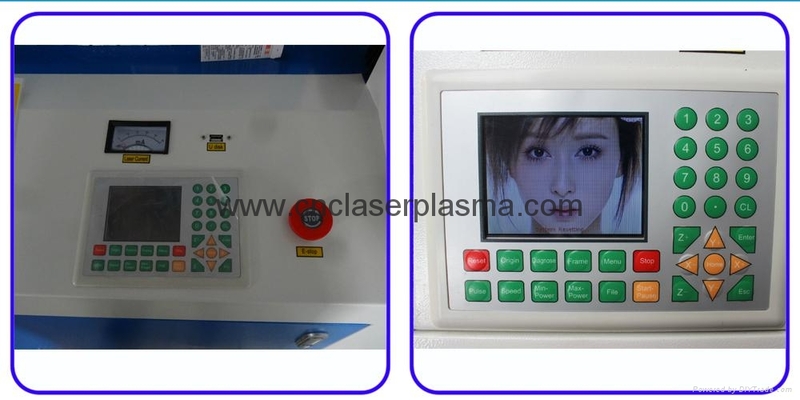 Adopting imported focus lens with high luminousness and mirror with high reflection ensure stable power transference and laser beam consistency. 5. Adopt 3phase Yako stepper driver with high dynamic response performance and loading capacity. 6. 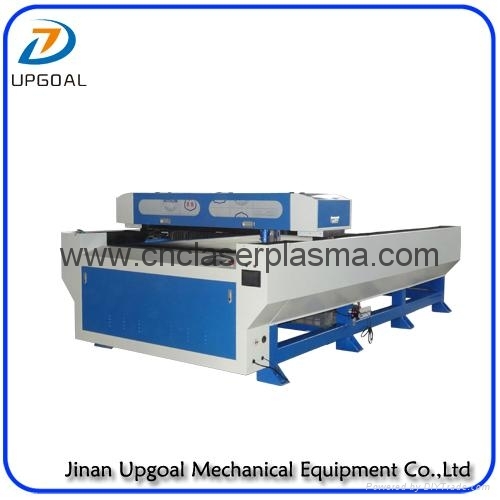 High precision Ball-screw transmission, Y axis with dual ball screw. 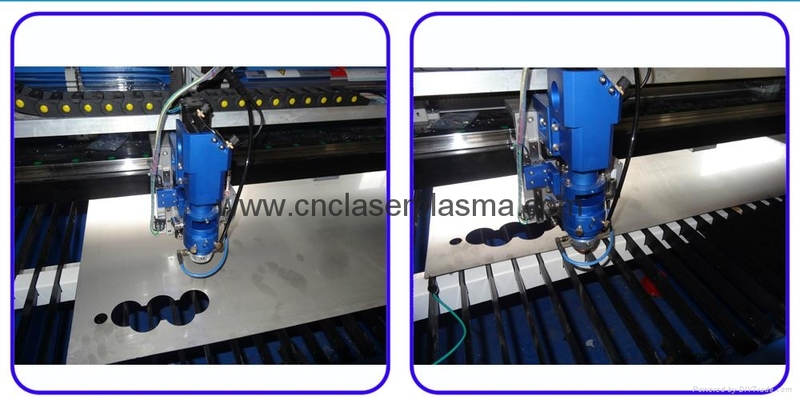 Perfectly solved the lower precision due to traditional laser transmission type and the cutting result is much more smoothly. 8. 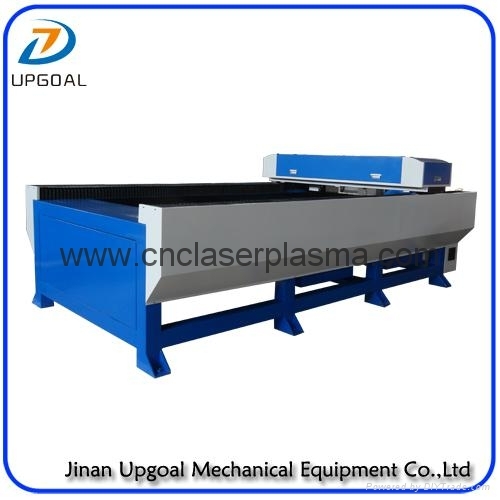 Specialized metal using non-contact follow-up system, ensuring same cutting quality for whole working table, no need further processing for the fracture section, high efficiency, long life time and more stable. 9. 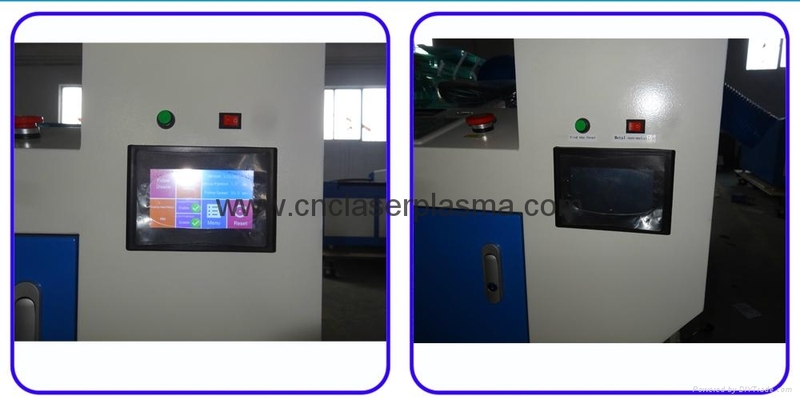 With auto height controller for laser head, can track the metal material surface and adjust suitable focus length, ensuring the cutting quality. 10. 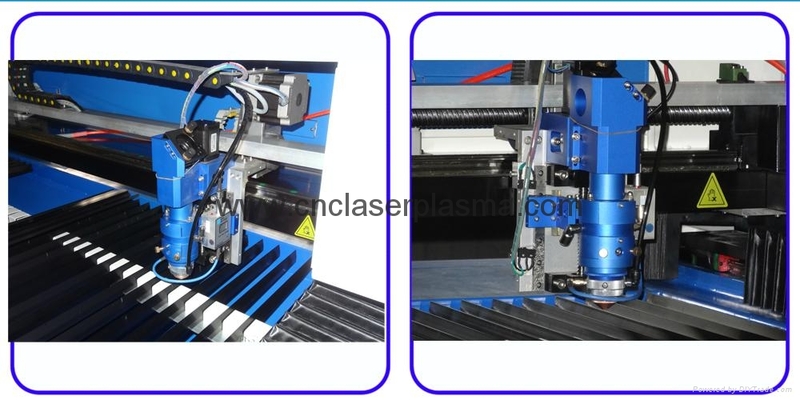 High strength cutting table, applicable for metal and non-metal cutting. 11. Rationalized placement of the electronic parts. Optimized heat dissipation effect. 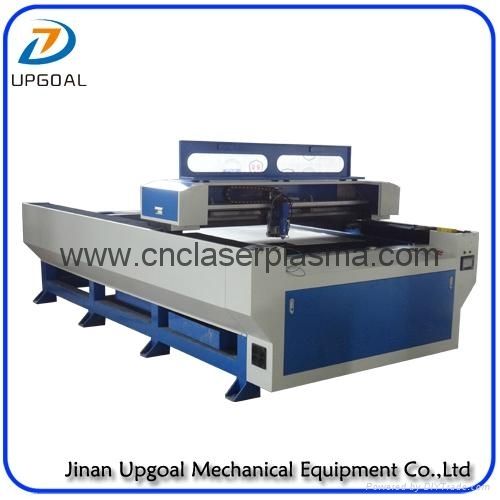 Ensured system stability and anti jamming capability. 12. 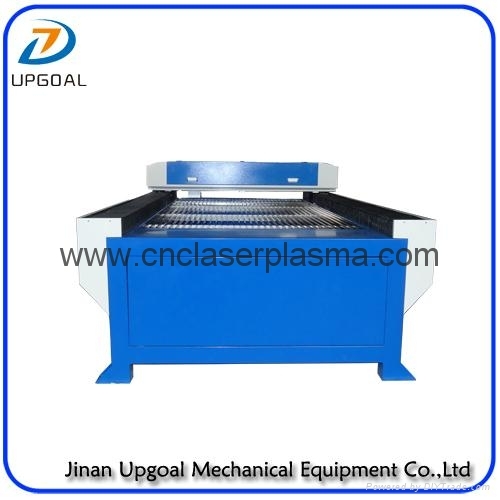 Industrial water chiller CW-5000 is equipped to ensure the machine can work last long time.